If you want to ensure safety inside your terminal, you should start by prevention. Prevention is about anticipating any possible damage. And this is particularly relevant when a container is being lifted under an RTG. An accident hardly happens, but when it does it causes tremendous damages or injuries. Since our aim is to provide automated solutions to Terminals issues, one of them is solving how to avoid accidents automatically. Consequently, we are able to increase safety in the Terminal. In case that any twistlock or all of them are not released when a container is being lifted under an RTG, the truck will be engaged to the container. If the RTG movement continues, it will cause potential damage to the vehicle, the container or even injuries to the driver. We need to take control of the RTG in the precise moment to avoid that it keeps rising. 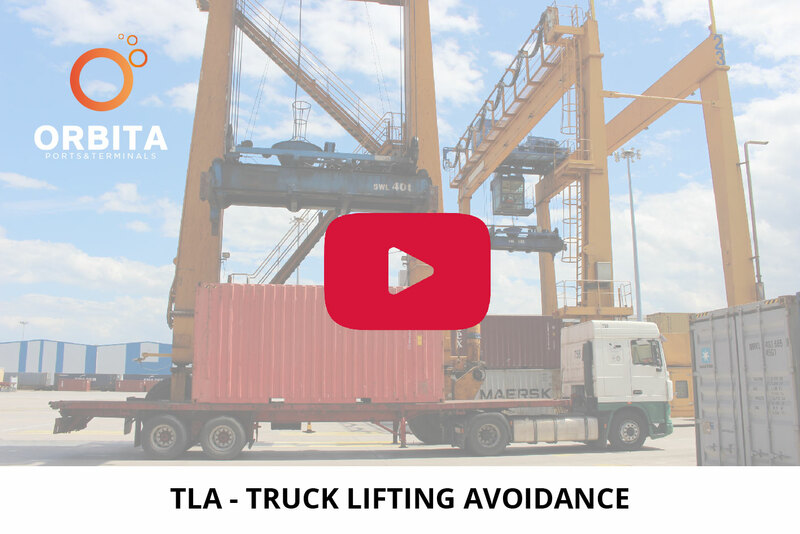 Installing the Yard CraneTLA – Truck Lifting Avoidance- System in your RTGs is easy and effective. Scanners will detect that the truck is being lifted and our system will act automatically over the RTG control to stop it. When this happens, the RTG operator is warned by a simple display in the control panel. The crane operator is only allowed to move it down safely to the ground. Of course, it doesn’t interfere at all with normal operations. It only acts when it’s needed. If you watch this video, firstly you will see what happens when no system is installed. Secondly, how the process works with YardCrane TLA already installed. If you want to ask how to apply Yard CraneTLA in your Terminal, just contact us and we will reply quickly. We will guide you during this standalone and efficient project.